Whether you’re caring for the elderly, feeding the hungry, enriching your community with creativity and culture, or helping those who cannot speak for themselves, your main focus is to propel your mission forward to better serve those in need. 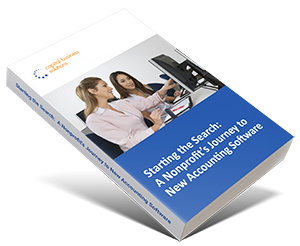 And while you may face certain obstacles throughout the process, one of those obstacles shouldn’t be about fund accounting and fundraising software. Abila MIP™ and Financial Edge NXT are fund accounting software solutions, purposely built to help community action agencies overcome unique reporting and tracking challenges presented by their various funding streams and programs. For over 20 years, Capital Business Solutions has been helping animal welfare, environmental, arts and culture, and social need causes focus more on their mission by providing flexible, easy-to-use fund accounting software. Abila MIP Fund Accounting™ and Blackbaud’s Financial Edge NXT are award-winning fund accounting software platforms and are the preferred financial solution for community action nonprofit professionals. Track, manage and report on various Human Resource needs using a web-based portal to improve and automate specific tasks. Learn more about accounting software for community action nonprofits today by calling us at (888) 249-6008 or filling out the form below. 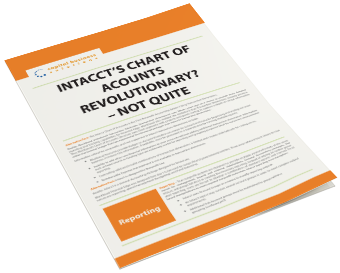 Intacct’s Chart of Accounts Revolutionary? Not Quite.